Well, we didn’t get the sweep we’d hoped for, but our Spinners never quit. It was a long, hot day at LeLacheur Park and the Vermont Lake Monsters salvaged the final game of this three-game series with a 13-4 victory. Vermont jumped out to a quick 4-0 lead in the first inning and never looked back. Lowell was down 13-2 in the ninth and scored two runs before finally being put away. The Spinners bounce back with the final three games of this home-stand against the Connecticut Tigers. Lowell took two games from Connecticut to start the season (one in Connecticut and one in Lowell). The Tigers are in last place in the Stedler Division at 4-8 with a game starting at 5 p.m. against Tri-City today. 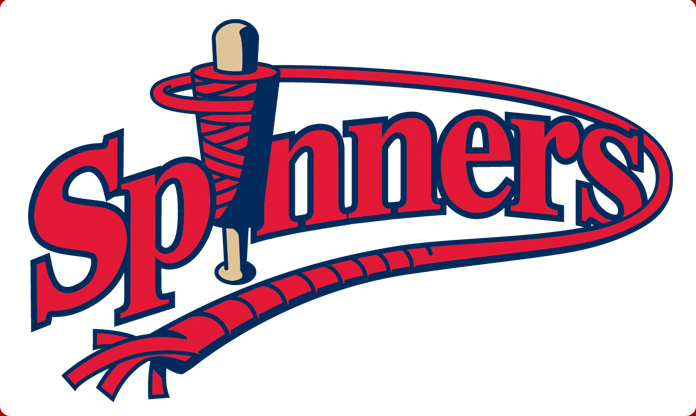 The Spinners probable starters are Simon Mercedes (0-0, 2.00 ERA), Jamie Callahan (1-1, 6.34 ERA) and Ty Buttrey (1-1, 3.86 ERA). Monday’s game features Jenny Dell Bobble Head Night with Jenny Dell, herself, in person! Come see Jenny Dell throw out a first pitch and greet the fans, as well as pick up her lovely bobble head doll. Tuesday, we honor our servicemen and women with Military Night and a Band of Brothers Bobble Head. All current and former military personnel and their families won’t want to miss this special night. The final game of the home-stand is Harry Potter Night, a fun evening featuring everybody’s favorite wizard. We will also have fireworks post-game with Harry Potter theme music. All game times are 7:05 pm (weather permitting), so come on out for some of the best times you’ll ever have at the ballpark! Go Spinners!